Last week, one of the mahoganies had to be felled. 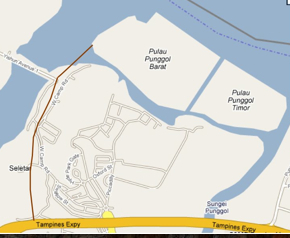 Nothing to do with the Aerospace Hub, rather, it needed to go to make way for a new road that connects the Punggol islands to TPE. 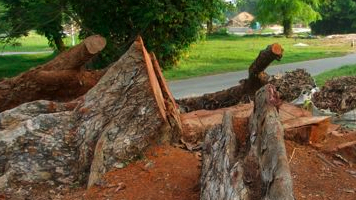 Suresh has captured an image of the remaining root of a tree that did not go lightly – we understand the tree was so large, the actual time it took to fell it was twice the estimated allocation. NParks has saved some seeds, and the trunk has been earmarked for a sculpture which may finally reside in Fort Canning. I could not find any official references to the bypass, below is my personal guess.